Now that spring is finally here, and days are getting longer, we all long for a well-deserved Easter holiday! It’s the ideal time for families to escape from the daily routine and plan a holiday together. When you travel with kids, it’s not always easy to know what type of getaway is the best. 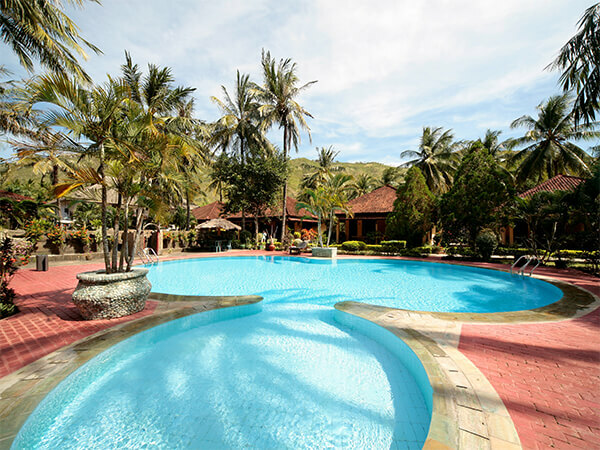 You need to choose between an active or passive vacation, think about the facilities you have at your accommodation and plan activities that you can do all together. Another challenge: packing! When you travel as a family, you need more space, and packing requires a little more organisation. But do not fear: there are holidays that combine all the above. Here are 3 options you might consider! 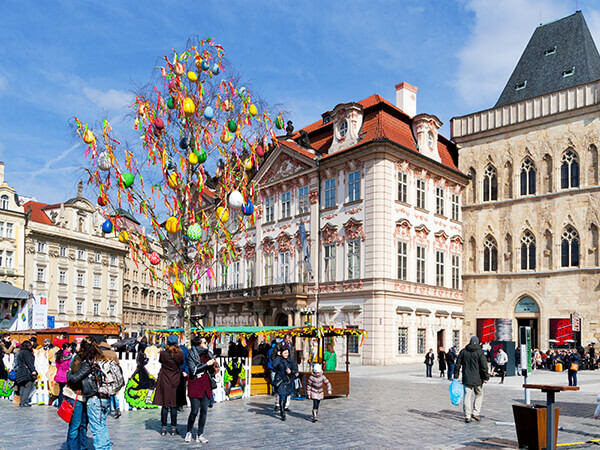 In some European cities, you can visit beautifully decorated Easter markets. Expect handicrafs, little coloured wooden stalls, local music and native food. But what’s in it for children? Children love to be creative, and several Easter markets offer possibilities for children to let their creativity run wild. On April 8, at the Weiz Easter Market in Austria, children can make Easter crafts, do face painting and participate in a theater! In Vienna, you can find eggs that are as high as human beings, something your children will definitely find impressive. But what’s even more fun? An egg hunt of course! In the Open Air Museum in Salzburg, there is a special egg hunt for children on Easter Sunday. When you visit an Easter market, you stroll from A to B, and therefore your children need a backpack that is comfortable. 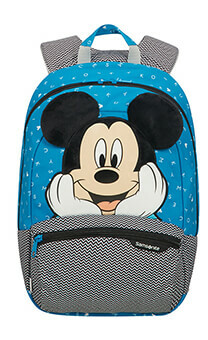 Our Disney Ultimate 2.0 backpack is the best choice for your child, as it has an ergonomic shoulder strap and extra padding. Ideal to explore the city! After the long winter months, most people are longing for sunny destinations. An all-inclusive resort will remain a good option as it offers something for everyone! Those hotels cater to the requirements of families and have enough possibilities for animation. Nothing is more amusing for children then making fun at the pool or participate in diverting activities like drawing or dancing. Moreover, as a parent, you never have to be afraid that your child will not like the food: the restaurant offers more than a standard children’s menu at the typical restaurant, and the buffet offers fresh and sweet food options. What luggage is the best for all-inclusive formulas? For your youngest children (3 to 6 years), our Dream Rider suitcase will be your ideal companion. Why? Your child can ride on it through the airport and as an adult, this means you do not always need to carry your little ones everywhere you go. Double win! For the older tweens, you might consider Disney Ultimate 2.0 Iron Man (7 to 12 years old) or Disney Ultimate 2.0 Minnie Neon. These hardside suitcases are ideal to travel by plane: they are solid, have a nice interior organisation and stand out on the conveyer belt! Skiing can be a lot of fun, but it requires more organisation when you go as a family. If you take the following tips into account, your journey will go as smooth as silk. It goes without saying that you should not send your child on the slopes without them being prepared. 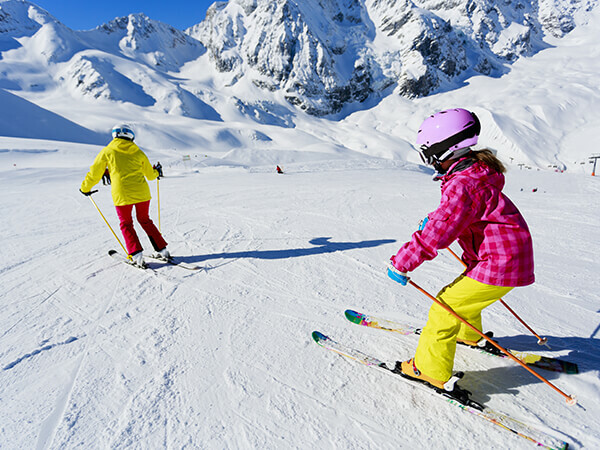 Take your children to an indoor ski centre, plan for some ski sessions and let them get used to the feeling of skiing. Most indoor centres offer sessions for all age categories. Before you leave, you should create a set of rules for your children: they must stay together at all times, avoid heroism and keep an eye on their friend, brother or sister. Also choose wide and cruisy pistes and let your children ski in front of you, so that you can intervene when things go wrong. Once your children reach the age of two, travelling by plane can be quite expensive. When you go on ski holiday by car, you can not only save a lot of money, you can take all the ski gear you want. You can also take all their favourite toys with you to keep them entertained during the ride. Pack something extra of everything you need to go skiing. Take an extra pair of gloves, as children always engage in snowball fights. It’s also smart to bring candy on the slopes. Why? Learning a new ski trick requires a lot of patience from your children, and they can get uninterested after a while. Treat them with something they like! 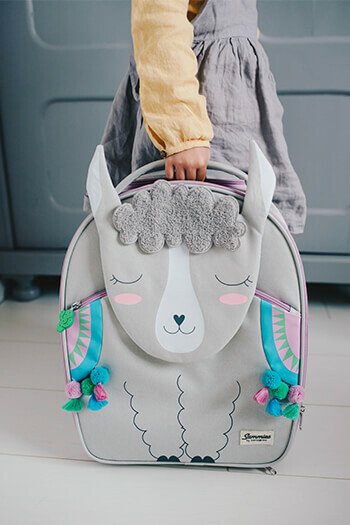 The best backpack for your kids? Our Happy Sammies Alpaca and Hedgehog ! 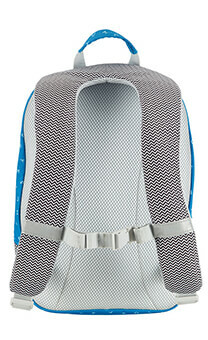 These backpacks are small and compact and will cheer up your little ones wherever the slopes take them.